It’s beholden on marketers to demonstrate how they can add value to their organisation, NAB’s recently appointment, CMO, Andrew Knott, claims. “From a marketing standpoint, we have a responsibility to our business but also the broader marketing community to challenge ourselves to see how we add value,” he tells CMO. “We are at one of our most interesting junctions, and never had a greater ability to demonstrate value. 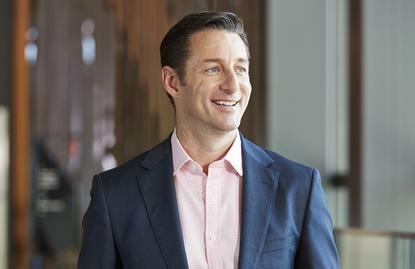 Knott was appointed CMO of NAB last October, replacing Sandra de Castro. He sees CMOs as requiring three key attributes to attain the leadership position they deserve: An innate curiosity about people; a level of humility; and a constant desire to learn and challenge themselves. It’s these values Knott is bringing to bear at the banking giant. Having come from out of category and country, he’s looking to inject an appetite for fresh thinking into the business, as well as an outside-in perception. Knott spent a substantial part of his professional career in agencies, working for Havas Worldwide as well as Ogilvy across Australia, Asia and the Middle East. While still overseas, he switched to client side, and was most recently VP of media and digital for Asia-Pacific, Middle East and Africa at McDonalds. This wealth of international experience has given him a broad perspective, well-developed cultural insights, and a willingness to be open to different ways of doing things, he says. Under all of these roles has been a fixation on customers. “What started my education journey was being intrigued by what motivates people drives behaviours and that curiosity continued ever since,” Knott says. Knott is looking to now lead marketing at NAB with customer custodianship and insights. The banking giant’s marketing function already plays a significant role in how the group’s customer values and engagement plays out, and gained ownership of its customer advocacy program last year. This sees marketing taking an active role in shaping strategy and managing execution, end-to-end processes for new products and services, and change management through a customer-centric lens. In addition, NAB has embedded measures to track improving advocacy across the organisation, which are used as key performance metrics for senior leaders through to frontline staff. “It’s not about disrupting or fundamentally transforming the function, it’s about how we bring a customer-centric approach into the organisation and ask ourselves the question of whether there is a better way to do things as a result,” Knott says of his plans. “Delivering a compelling experience for our customers is common sense and will deliver better outcomes for the business as a whole. Knott says two of NAB’s five clear organisational values particularly resonate with him: Being bold, and having a will to win. To do this, he’s inspiring his marketing function to become a world-class marketing organisation. Knott defines modern marketing success as firstly aligning around the customer. That requires understanding customer journeys. “I’m a big believer in the death of a marketing funnel and the importance of marketing lifecycle,” he says. “This has been around as a concept for a long time, but it’s understanding the role marketing has to play at every element of that lifecycle. “Importantly, once we have customers, it’s then how we drive advocacy. That allows us to think through if we are aligned to deliver at every stage of the journey, and secondly, if we are thinking forward enough to evolve at a pace that at least keeps the gap between us and the customer constant. Ideally, we want to reduce the gap between what we’re doing, and what customers are doing. The critical enabler for all of this is data, Knott says, who agrees most organisations and marketers are now awash with data they’re struggling to utilise. “The question is how to leverage the right data to inform us about the things our customers are asking for, or are implying they need though their behaviours, and ensure we use insights to evolve how we do things in order to deliver a better outcome,” he says. Knott has inherited a significant data and analytics team at NAB that stretches CRM to predictive modelling, arguably makes the job easier. The banking giant has also made recent investments into infrastructure to better leverage data, although some of these are still being deployed and stitched together, he says. “We’re well positioned to accelerate,” Knott says. “There’s an incredible array of talent in the team, and it feels if we can get aligned on how we how create value in the organisation, we can galvanise our position and close the gap between where we are today and being truly world-class marketers. Knott is looking to achieve a balance between executing off the back of data, and asking lots of questions. What’s making it both an exciting and challenging time for marketers is that they’ve been given a far greater level of accountability than ever before, Knott says. “We need to ensure that while we represent customer on the way into the organisation, and throughout their journey with the bank, we hold ourselves to account,” he says. “It’s about thinking and acting like professional services entity within the enterprise. Key in all of this is building an innovation culture. Like many CMOs, Knott is keen to foster experimentation throughout the NAB business. While he’s not a big believer in standalone innovation labs, he points out the group’s own innovation team, NAB Labs, is helping incubate new ideas and thinking within the business. Knott notes Coke’s 70/20/10 innovation approach as something to aspire to. “However, I’d suggest anyone working in retail would struggle to achieve 10 per cent on pure stretch thinking,” he admits. “But finding that ability to invest a percentage of time and budget in pure innovation thinking is something that can unlock real value in our organisation, in much the same way it has unlocked value for value-based companies at the other end of the spectrum. Whatever form innovation takes, the underlying objective needs to be delivering better experiences for NAB customers. Knott sees this not just as moments of interaction, but better holistic outcomes for the customer. Knott uses two key questions to determine this: Are we evolving strategically; and are we getting the small things right. “We don’t own our brand, customers do,” he continues. “Our brand is defined by those small moments of interaction far more than what we say. We have a very well-developed customer pain points program, where we’re trying to understand where we don’t make our customers’ lives easier, and we’re working systematically to address them. “We also have a number of internal working groups, and I’m an active member of one group focused on customer advocacy and how to improve that. It’s not group speak, but a genuine commitment to delivering better experiences for the customer.